From a remote part of Britain to remote parts of Afghanistan, Linda Norgrove travelled many miles and affected the lives of many people. She devoted her working life to helping to improve the life of others, especially in Afghanistan. Linda was kidnapped in Kunar on 26 September 2010 and died in an attempted rescue by US forces on 8 October. She was 36. However, Linda is not defined by the tragic circumstances of her death, but by the life she lived and the choices she made. Linda chose to live a life that matters. She was a highly qualified and dedicated environmental expert, but it was her rare and precious gift of empathy with all people, no matter their condition, culture or beliefs, that was her driving force. Linda was regional director for DAI in Jalalabad where she oversaw a USAID project designed to create jobs and strengthen local Afghan leadership and economies in unstable and vulnerable areas. Linda taught herself to speak Dari, an Afghan version of Persian, to help her establish proper relationships with her Afghan staff and the local communities she visited and worked in. This was clearly a key factor in the success of her work. Linda came to my country without arms but with strong hope and a commitment to help our people and our war-torn country. She did very well and Afghans will never forget her support and help. We are grateful people. As the only long-term expatriate on the Jalalabad team, she managed and worked with a team of about 500 Afghan staff as they moved across all the districts of eastern Afghanistan, working with communities to implement local projects that had been chosen by the people. The project areas covered agriculture, rural enterprises and infrastructure, including: building roads, bridges and markets, installing small-scale hydroelectric systems, improving agriculture and encouraging local businesses to expand and improve the production of a wide range of goods, including textiles, honey, talc and marble. Training local people was an important part of the programme and Linda was instrumental in ensuring women and disabled people were included. 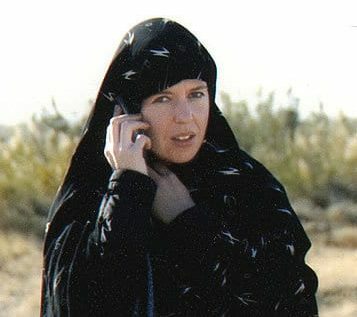 Linda had first worked in Afghanistan for the UN from 2005 to 2008. Initially, she was a project officer for environmental and rural development, but her managerial abilities were soon recognised, and she was engaged in several development schemes including construction of roads and irrigation canals, retraining ex-soldiers, alternative livelihoods for opium poppy growers, and developing climate change policy. Linda was a hero of project implementation. She got things done. She wanted to work with remote communities and see some real change in the livelihoods of poor Afghan people. She respected our culture; she was an Afghan lady. Still with the UN, in 2008 Linda went to Vientienne, Laos, as environmental specialist in charge of a small team managing all aspects of the UN environmental programme. 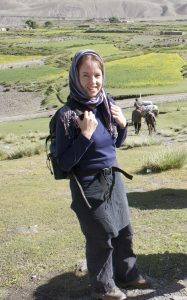 However, Linda’s love of Afghanistan and its people was shown when, while working in Laos, she spent three weeks of her annual leave trekking with friends to the Wakhan corridor, in the extreme north-east of Afghanistan, and then through the Pamir mountain range. She returned to Afghanistan to work in February 2010. Linda, and those rare people like her, are trail blazers for all of us who wish for a better world.They are the standard bearers of hope, the people who make change happen so that societies throughout the world can have hope of future peace and self-determination. Linda lived in the day and always looked forward with hope – she would have wanted us to look forward with hope too. Linda loved Afghanistan and cared deeply for its people, and she was deeply committed to her development mission – she was an inspiration to many of us. Linda inherited a love of other countries and a sense of adventure from her parents who, from their home on the Isle of Lewis, would take their two young daughters off school after Christmas on a bi-annual trip to experience other cultures in developing countries, including Egypt, Thailand and Malaysia. Subsequently, she and her parents holidayed together in America, Mexico, Guatemala, Belize, Ethiopia, Uganda, Peru, Sri Lanka, Laos, Bhutan, India, and Thailand. Linda continued to travel after leaving school and through her university years. While studying Tropical Environmental Science at Aberdeen, she spent her second year at the University of Oregon, and her time in the US was a formative influence. In particular, she was impressed by the American ‘can-do’ attitude and the lack of stuffiness that meant she could do salsa dancing and scuba diving as part of her curriculum. She celebrated the end of that year in a typical adventure, cycling with a friend the 4,100 miles from Eugene, Oregon, to Washington DC. 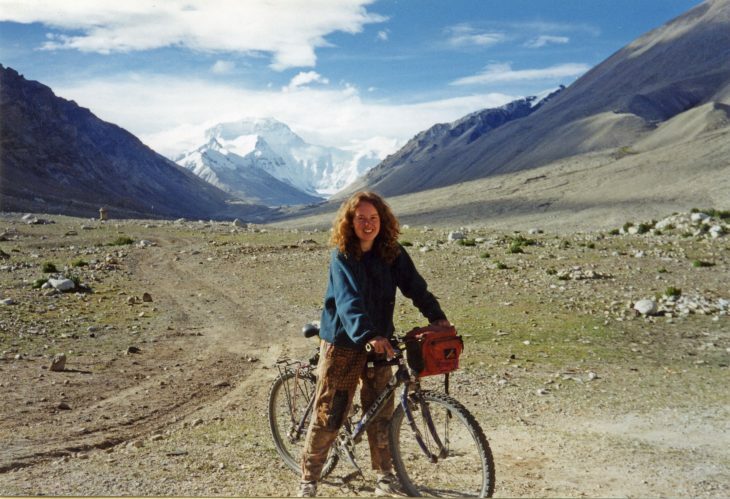 A year later she cycled for three and a half months, firstly through China on her own, then with the same friend from Lhasa in Tibet across the Himalayas to Katmandu in Nepal (above). Linda graduated from Aberdeen with a first class honours degree and after gaining a MSc with Distinction in Rural Resources and Environmental Policy, she studied further at the University of Chiapas in Mexico. She followed this up by taking a PhD, during which she spent 22 months doing field research in Uganda, looking at how different types of park management regimes affect the attitudes of native peoples. Linda had recently passed her exams for an MBA from Warwick Business School with only her thesis to complete. Linda’s academic studies had concentrated mainly on environmental issues but her focus began to move while working for the World Wildlife Fund in Lima, Peru, from 2002 to 2005. As a Forest Programme Leader, she prepared schemes for nature conservation and poverty reduction, and her focus shifted from conservation to the protection of indigenous communities and their rights, as she experienced at first hand the interdependence of the two. This was a significant development in Linda’s thinking. In every country that Linda visited and lived in, she wanted to get to know and spend time with local people, and each country and its people had a particular impact on her. She once said what a great feeling it was to get your bag on top of a central American bus and head off into the sunset with happy music blaring out at top volume in a bus crammed with the local people and their animals.